The Cohiba Talisman LE 2017 is an incredible and rare Habano, Robusto Extra, with 54 ring gauge, 6” (154mm) long and comes in a box of 10 cigars. A great cigar to get at a young age; expect it to become a collector's piece in years to come. 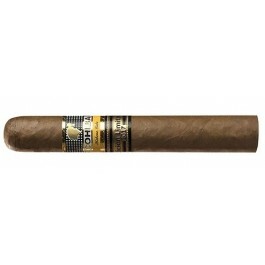 • As close to perfection, with typical Cohiba flavors, wood, grass, earth and lots of sweetness among other notes. 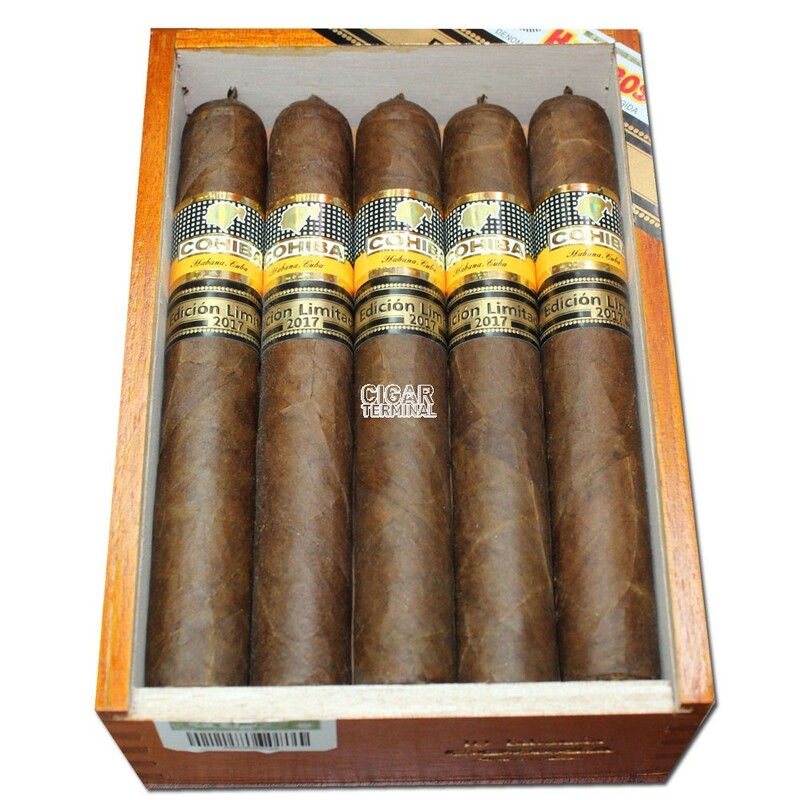 The Cohiba Talisman Limited Edition 2017 comes in a varnished wood cabinet (sliding lid box) of 10 cigars with Habanos packing code SLB-VW-C/L-5-n-10. Contrary to what has been shown upon release, the Cohiba Talisman sports an elegant pigtail at the head. The Talisman is massive and pretty heavy. The wrapper has nice dark brown color, with the right amount of oil and tooth. Some veins are visible, but this doesn’t alter the excellent look. Well packed cigar from head to the foot. A secondary Limited Edition band completes this graceful cigar. The foot lets off some smells of earth, sweetness and also of raw grass. The cold draw gives some herbal notes, sweet nuts, fresh coffee and faint spiciness. The draw is as close to perfection as possible. Once lit, the Talisman creates generous billows of smoke. The burn, which can be wavy at times, self corrects and is amazing overall, leaving a perfectly shaped cone when the grey ash, which seems to hold on forever, finally falls off. The first aromas to reach the palate are fresh and herbal, young cedar. There is also lots of bitterness: strong coffee, nuts, leather. Slowly some acid notes of citrus and pepper are developing, along with some faint sweetness creeping up. The flavor profile is already the telltale of a great Cohiba. However, the powerful start to the cigar is reminding us that this is still a young cigar despite being rolled with aged leaves. It is already a medium bodied cigar before the end of the first third. The second third continues on the same basis, with a strength steadily in the medium mark but slowly reaching a medium to full level by the end of the third. In terms of flavors, the woodiness and the nuts (almonds) remains prominent, while earth, coffee, and hay also come to the foreground. There is now also some more citrus; notes of cocoa notes are appearing, while the finish remains bitter and herbal. The hints of sweetness from the beginning of the cigar are now really showing up and the Talisman starts to reveal what it has to offer. In the final third of the Talisman, the herbal and leather flavors are now becoming the main profile of the cigar, while the cedar and the nuts recede to the background. The sweetness that revealed itself earlier is now coming forward fully, and mixes up with the almond notes to create an amazing marzipan like flavor, especially on the long finish. Earth, coffee and the overall bitterness is still there, but more discrete while the pepper notes however, are more noticeable on the retrohale. The strength kept increasing all the way until the nub, almost reaching a full bodied level at the end. In summary: an exquisite Habanos, which will refine over the years in a humidor.